Pro Deck Installers, Inc. has been operating as a leader in the contracting industry for 15+ years by providing what we promise. Welcome to Pro Deck Installers Inc.
We are committed to delivering quality workmanship without cutting corners or compromising our integrity and high standards. Pavers, Walls, Fences & more.. 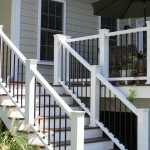 Pro Deck Installers, Inc. is an A+ rated, VA Licensed & Insured Contractor. 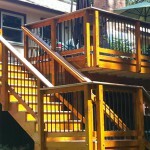 Pro Deck Installers is a "Trex PRO Gold" Certified Installer! Ask us why we recommend TREX!